Round holes should not be searching amongst square pegs for life partners unless they thrive on conflict. Many training strategies and behavioural modification programmes aimed at our dogs focus their energy, intellect and success on re-shaping square pegged dogs. Many dogs simply cannot cope with this process. Kay’s view of this landscape is more aligned with round holes becoming a lot squarer. We should not be trying to change dogs, but celebrating what they are and changing the world in which they live. Every Dog Every Day will introduce you to a different mindset from which you may not be able to retreat. 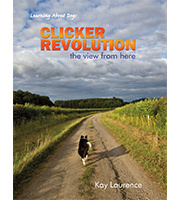 The book and video will show you a different view of your dog’s innate behaviours and how trying to suppress these responses can be met with resistance and conflict. Think of working with the grain not against it and we move closer to enjoying a relationship with connection and pleasure. Kay has lived with many dogs over many years observing their daily interactions, their puppy rearing and sharing in their activities. Dogs skilfully teach us the art of living as a harmonious group and developing connection. 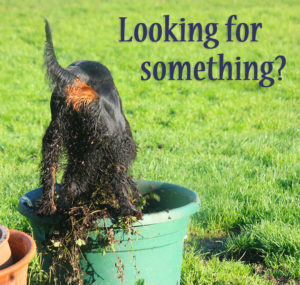 This understanding and skill is shared through the book and video with advice based on a consistent, high quality of results with a range of different dogs and people.